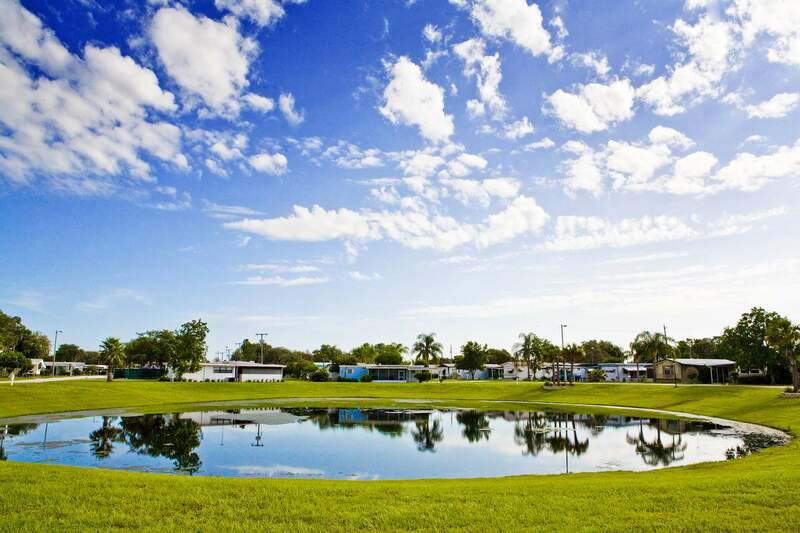 Winter Haven MHC is a premier 55+ lifestyle manufactured home community with an inviting country setting in the heart of Polk County’s Chain of Lakes. Set in a quiet, wooded neighborhood, Winter Haven MHC has all the advantages of a small town, with the excitement of Orlando and Tampa just 45 miles away. This quiet setting located between Tampa and Orlando provides a quality of life that makes the City of Winter Haven one of the best places to retire in the nation. At Winter Haven MHC you can find a relaxed Florida lifestyle for those 55+ adults seeking the best in value, leisure and convenience. The “Chain of Lakes” City of Winter Haven features 16 freshwater lakes connected by a series of canals, and an average temperature of a delightful 72 degrees. The town is located in central Florida, 50 miles from Tampa and 60 miles to Orlando. LEGOLAND® is a 150-acre, located within 8 miles of the community offers a full two-day interactive theme park experience specifically designed for families with children ages 2 to 12. The largest LEGOLAND Park in the world, it features more than 50 rides, shows, and attractions, restaurants, shopping, a breathtaking botanical garden and the all-new LEGOLAND Water Park. This was the home of the world famous Cypress Gardens with its amazing choreographed displays of water skiing which put Winter Haven on the map nearly 60 years ago. The gardens and the shows are still part of this attraction. Enjoy the magic of Disney World and the entertainment, the shops and dining at Downtown Disney, located in Lake Buena Vista. Be amazed by the marine life at Sea World in Orlando or head west to Busch Gardens in Tampa for a wildlife adventure. Winter Haven Lakeland, Brandon, St. Petersburg, Tampa, Spring Hill, Orlando, Kissimmee, Walt Disney World. DISCOVER THE BEST LIFESTYLE IN THE CHAIN OF LAKES AT WINTER HAVEN MHC!